You know Facebook is amazing for product marketing, but there is so much competition among various online shopping companies. So how to make your company stands out is the very thing that you should consider. 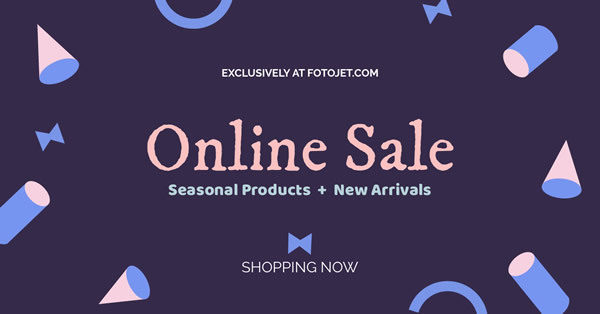 You can try our Facebook ad maker FotoJet, which gives you a strong support in handy editing tools and numerous Facebook advertising templates. With no graphic design skills required, you can easily handle it in minutes. Add some personal information and related photos with your own immediately.